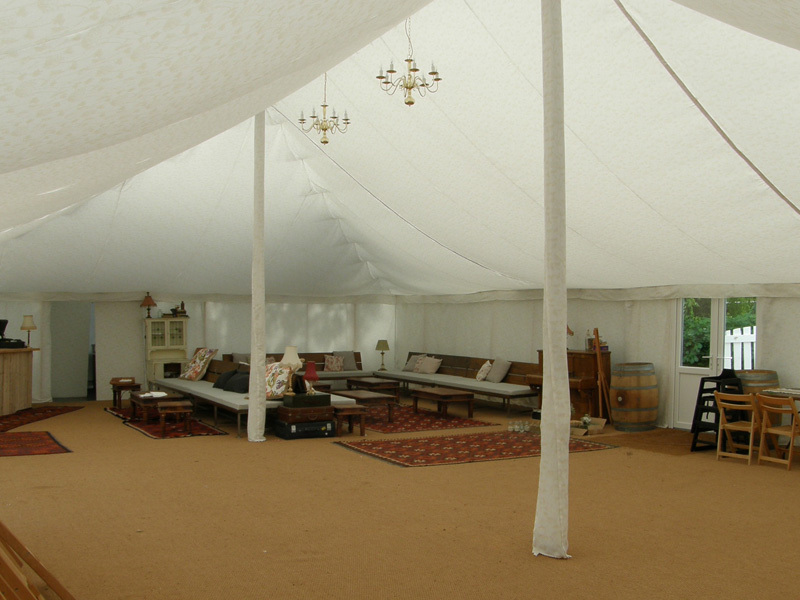 A marquee should be so much more than just an awning space. At its most basic, of course, the main functions are to protect you from the elements, be that rain or shine. But if you really want to create a serious space for weddings and other events, you need to have flooring. From hard-wearing carpets to laminate, we can make sure the ground under the canopy is tough enough to withstand a party as well as great to look at. We also offer a range of wooden floors for dance floors and bar areas. This is a natural material that looks stylish and gives any marquee a lift. We’ll sit down with you and discuss your options, recommending different floor materials for different areas and suitable styles for your budget. We’ve been making and manufacturing marquees for over six decades, so we think we know a thing or two about the best flooring solutions. As well as marquee flooring hire, we can also provide lining and lighting options, as well as toilet facilities, air conditioning and more. We’ll help you turn your simple marquee space into a top party destination.